Bunnings is to launch a New Zealand version of Bunnings Magazine in July, with Lisa Morton appointed as editor. The magazine, which debuted in Australia in March, will launch on July 4 with 80,000 copies distributed each month across 47 Bunnings Warehouse stores. The New Zealand edition will be available free in-store on the first Thursday of every month and a digital version will also be available online at bunnings.co.nz. Bunnings Magazine editor-in-chief Jane Parbury says Morton brings a wealth of knowledge about the New Zealand DIY scene to the new magazine. Previously, Morton has been acting editor of Homestyle magazine and was also involved in the launch of Resene's magazine, Habitat. Morton says Bunnings will be the go-to magazine for customers seeking house and garden inspiration, as well as practical advice on how to go about home improvements. Media sales for the New Zealand version will be led by Kerry McKenzie at Hawkhurst Media Services. McKenzie says launching the magazine for Bunnings New Zealand is a really exciting development. 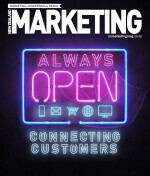 Bunnings general manager of marketing Keith Murray says the magazine is the natural next step for the hardware chain.